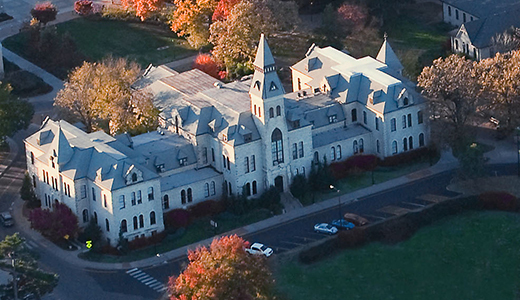 Alumni, friends, parents, faculty, students and corporate partners of Kansas State University made philanthropic gifts and commitments totaling $211 million in the fiscal year that ended June 30, 2014. This figure sets a new record in charitable giving in the 70-year history of the KSU Foundation, surpassing the $200 million mark for the first time. The previous record of $152 million was set last year. One of the most important aspects of this year’s results was the $89 million in endowed funds, which is also a new record. Endowed funds established this year were primarily for student scholarships, faculty chairs and professorships. Endowed funds provide long-term funding for the purpose they support, and create a legacy for the donor. Of the $211 million total, 63 percent is available for the university’s use immediately, while donors committed 37 percent through pledges and deferred gifts, which will be realized by the university at some point in the future. “It is an honor to thank the alumni, friends, corporate partners, faculty, staff and students who expressed their support of K-State so generously,” Schulz said.